Are you using Ubuntu and bored of using Unity desktop all the time? Then, you should check out other options available that can replace unity for you. I have collected 10 desktop environments that are superbly awesome and you sure would want to use them once you are done with this article. Let me show what i have got for you. GNOME Shell provides core interface functions like switching windows, launching applications or see your notifications. It takes advantage of the capabilities of modern graphics hardware and introduces innovative user interface concepts to provide a delightful and easy to use experience. GNOME Shell is the defining technology of the GNOME 3 user experience. A stable version of GNOME Shell was released as an integral part of GNOME 3 in March 2011. The most important of the innovations seen in GNOME Shell is the Activities overview mode which dedicates a full screen to all the different ways in which the user can switch from doing one thing (an activity) to doing something else. It shows previews of all the windows the user has open and the user's favorite and running applications. It also integrates search and browse functionality in case what the user wants isn't immediately visible. KDE is an international team co-operating on development and distribution of Free, Open Source Software for desktop and portable computing.For users on Linux and Unix, KDE offers a full suite of user workspace applications which allow interaction with these operating systems in a modern, graphical user interface. This includes Plasma Desktop, KDE's innovative desktop interface. Other workspace applications are included to aid with system configuration, running programs, or interacting with hardware devices. While the fully integrated KDE Workspaces are only available on Linux and Unix, some of these features are available on other platforms. 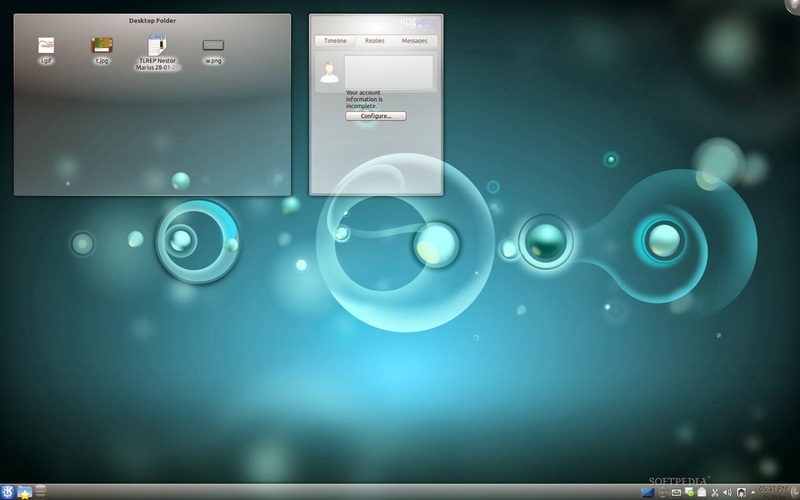 In addition to the workspace, KDE produces a number of key applications such as the Konqueror web browser, Dolphin file manager and Kontact, the comprehensive personal information management suite. However, our list of applications includes many others, including those for education, multimedia, office productivity, networking, games and much more. Most applications are available on all platforms supported by the KDE Development. KDE also brings to the forefront many innovations for application developers. An entire infrastructure has been designed and implemented to help programmers create robust and comprehensive applications in the most efficient manner, eliminating the complexity and tediousness of creating highly functional applications. It's about 1 GB worth of files. I did that on Ubuntu 12.04 and found it's quite nice. Very polished and smooth. I tried default Kubuntu distribution and liked it less. Cinnamon is mainly intended for use with a keyboard and a Pointing device, like a mouse; use with a touchscreen is also possible. 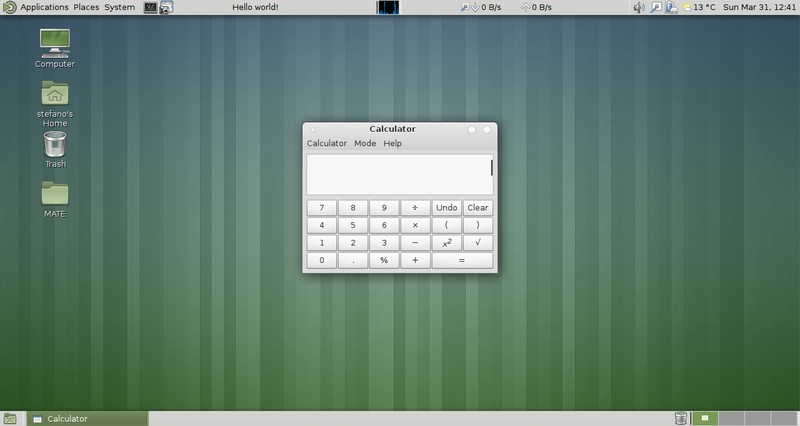 In contrast to KDE Plasma Workspaces, there is only one GUI. Cinnamon 2.0, the current version,was released on 10 October 2013. From this version, Cinnamon is no longer a frontend on top of the GNOME desktop like Unity or GNOME Shell, but "an entire desktop environment". Cinnamon is still built on GNOME technologies and uses GTK+, but it no longer requires GNOME itself to be installed. Biggest changes in this release are improved edge-tiling, improved user management, configurable individual sound effects and performance improvements for full screen applications. Ubuntu Studio also includes custom artwork and a blue-on-black theme, as opposed to Ubuntu's default purple and orange. As with the main distribution of Ubuntu, if an accelerated graphics card and appropriate driver are used, the advanced desktop effects can be enabled. More advanced Compiz effects are available in the Synaptic Package Manager (i.e., Ubuntu repositories). An important advantage of Ubuntu Studio over most other Linux distributions employing the real-time kernel is access to the same repositories available to the main Ubuntu distributions through the Update Manager, Synaptic Package Manager, as well as through the Add/Remove Applications prompt. This allows for much more frequent operating system updates, and access to a much wider range of software. Ubuntu will begin downloading all of the packages for UbuntuStudio. This will take quite a bit of time even on a high speed connection. Once the packages are downloaded, they will be installed automatically. Note: These desktop environments were tested on Ubuntu 12.10 and found working well.